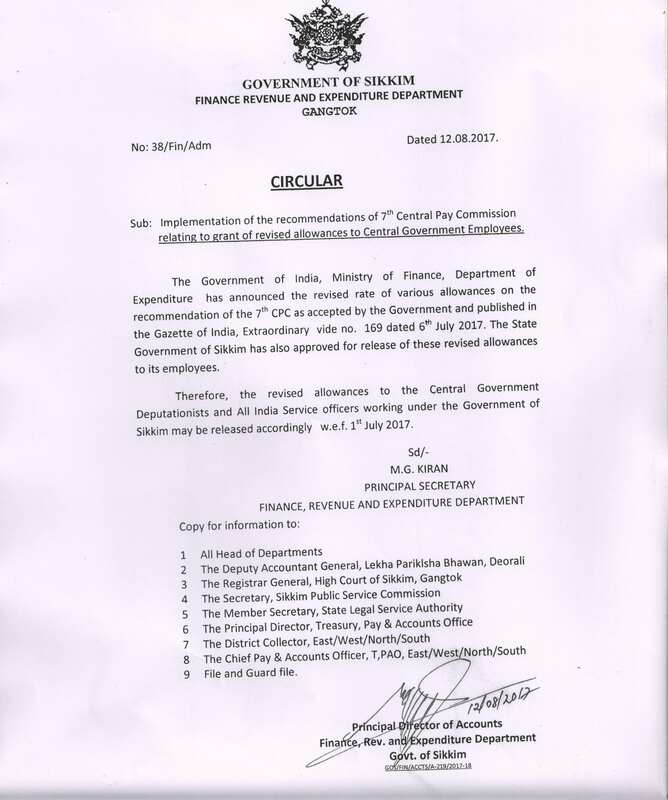 Circular - Disbursement and Advance Salaries 2014 vide No. 18/Fin/Adm dated 10-09-2014. Circular - Disbursement and Advance Salaries for December 2013 vide No.29/Fin/Adm dated 30-11-2013. Circular - Disbursement and Advance Salaries 2013-14 vide No.08/Fin/Adm dated 21-09-2013. Circular - Timely payment of wages pertaining to Muster Roll Employees.Dated:11-03-2013. Circular - Festival Advance. Dated:14-09-2012. Circular - Despatch of Files.Dated:10-09-2012. Circular For New Identification Number. Dated:13-08-2012.